Lanzarote has long been a staple destination for British holidaymakers. We flock there in our thousands to enjoy the warm weather, beaches, welcoming resorts and, of course, the volcano. This jewel of the Canary Islands has a host of seaside towns that cater for all types of holidaymakers but one of our favourites is Matagorda. This fun resort is only five minutes away from the busy Puerto del Carmen but it feels like a totally different world. Matagorda is the chalk to Puerto del Carmen’s cheese, it has a totally different feel to its noisy neighbour. It can perhaps get an unfair reputation of being simply an extension of the larger nearby resort but Matagorda offers a level of tranquillity simply not afforded by the more popular destination. Matagorda is the perfect chill-out beach destination. It has a trio of sandy shores which are packed with sunloungers and umbrellas. The white sands are complimented with the clear blue waters of the ocean which are alluring for a dip in the heat of the day. Whether you’re looking to simply chill out, go for a swim or even try out windsurfing then you can find what you need at the beach in Matagorda. There is a pleasant atmosphere to Matagorda. The centre of the resort is populated by a handful of bars and restaurants to keep visitors entertained throughout the day and into the evening. While it may not be party central like Puerto del Carmen, there are plenty of places to let your hair down as the sun sets. Even if you do fancy a change of scenery then not only is Puerto del Carmen a short distance away but you can also visit the capital of Arrecife. The main city in Lanzarote provides a great option if you’re looking for a day trip away from the resort. If you happen to have a penchant for planespotting then you will be in Heaven in Matagorda as the town sits directly next to Lanzarote Airport so you can spend the day watching the giant birds come into land. Matagorda is a little different from your conventional holiday to Lanzarote. It offers a much more relaxed atmosphere to some of the island’s livelier escapes. However, there is an abundance of hotels to please all holidaymakers. Whether you’re travelling as a couple or with a young family, Matagorda has something for you. Thanks to its proximity to the airport, transfer times can be less than 10 minutes. Imagine, you could be on the beach in just half an hour after touching down in Lanzarote – what could be better than that? 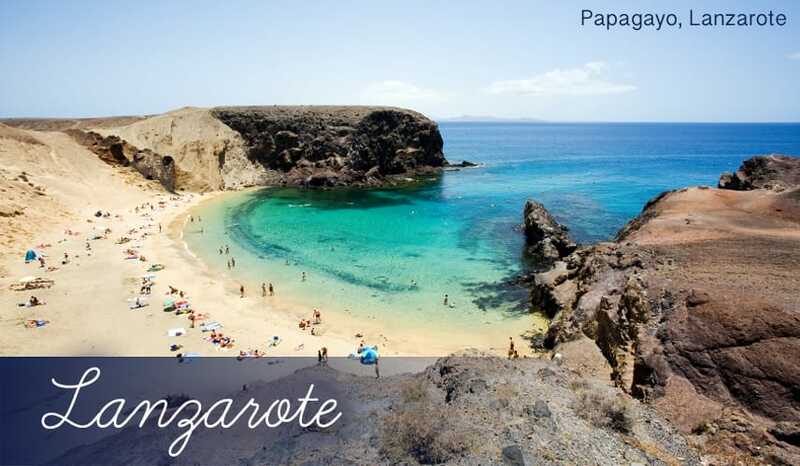 Matagorda offers peace and quiet but if you’re looking something a little livelier then you can take a trip to Puerto del Carmen or the capital of Arrecife. There are so many things to do in such a small place, so don’t think of it just an extension a larger resort. This has a unique charm of its own. Matagorda’s location means you can make the southern coast of Lanzarote your oyster. Thanks to a short transfer time from Arrecife Airport you can be soaking up the sun in this quaint resort before you know it. With Puerto del Carmen within walking distance, the capital of Arrecife a couple of minutes away by car and Los Pocillos a stone’s throw away, there is so much diversity to this part of the island. While Matagorda’s neighbours have their own plus points, the resort itself has a real unique charm to it. Most holidays here, as you can imagine, revolve the beach and Matagorda is always buzzing with holidaymakers taking advantage of its golden sand shoreline. This is the holiday destination for people wanting to simply chill out. Stroll around the promenade or maybe stop off for a refreshing cocktail. Spot planes flying past en route to the airport and simply watch the world go by; life goes at a slower pace here. And if you are looking for a change of scenery then the busier Puerto del Carmen and Arrecife are just a short distance away. This provides you with the best of both worlds. When it comes to holidaying in Lanzarote the first thought on people’s minds is the beach. While Matagorda forms an extension of Puerto del Carmen, the diminutive resort has its own shoreline which is a much more chilled out affair than the larger town. If you’re staying in Matagorda you will be within easy reach of no less than 3 beaches. Matagorda Beach is the resort’s main beach packed with sunloungers and umbrella. This white sand stretch shoreline is complimented by a number of bars and restaurants along the promenade. A certified blue-flag beach, the waters are calm and inviting so it would be rude not to have a dip. Unlike other parts further along the coast, Matagorda Beach tends to be relatively quiet with plenty of room to spend the day. If you’re looking for something a little livelier then a short drive away is Puerto del Carmen’s popular Playa Grande. As its name suggests, Playa Grande is the longest beach in the resort and while it can get very busy, you won’t struggle find somewhere to base yourself for the day. A little further away from Matagorda is Playa de los Pocillos another of the white sand beaches, ideal for a spot of sun-worshipping. This part of the island has gained a reputation as being among as the best spots for windsurfing. Thanks to prevailing winds passing across the shore, the conditions are just right for watersports. Surf schools around the beach provide lessons for every skillset whether you are a total novice or know your way round a board. Where could be better than trying out a new sport than the Canary Islands? Matagorda can proudly claim to be the only place in Lanzarote where you will find a drive-thru McDonald’s restaurant but if you don’t fancy a Big Mac in the summer heat, there are plenty of restaurant options to choose from. As you may expect given Lanzarote’s location, seafood is a major speciality with eateries serving up the latest catches of the day. Hidden among the Spanish eateries is one of Matagorda’s best kept secrets – Sapporo. The Canary Islands and Japanese cuisine may not immediately spring to mind but Sapporo is one of the most restaurants in Matagorda. Serving up amazing Japanese dishes from chicken teppanyaki to range of different sushi options, it is a slightly different twist on your conventional holiday food. Another favourite for holidaymakers is Sirocco. This beachfront restaurant has a diverse menu with a range of mouthwatering meat and fish dishes as well as the usual pizza and burger options. The best part is you can enjoy your meal while taking in the picturesque view. Alternatively you can grab a light snack during the day at one of the beach cafes and bars. Bars such as The Sportsman Bar, Angies Bar, Decky Dillon’s and The First and Last Irish Music Bar have daytime menus to keep your hunger at bay. When you have a neighbour like Puerto del Carmen, your nightlife may look somewhat overshadowed but Matagorda can certainly hold its own. Taking inspiration from its larger counterpart, there are plenty of bars here to let your hair down and can either be the starting point for a big night out in Puerto del Carmen or somewhere to settle into the early hours. There is a much more laid back vibe at Matagorda but if you like karaoke then you are certainly in luck. The Late Late Show Bar is a huge favourite with holidaymakers with cabaret acts on every night of the week. The Sportsman Bar has live sport on throughout the day while live bands make up the evening’s entertainment. Matagorda also boasts a number of beachfront cocktail bars which provide a relaxed atmosphere and amazing views. Of course, if you want something a lot livelier then jump in a taxi and head to the bright lights of Puerto del Carmen.